Read a Daily Nutmeg article about Bill! Read a New Haven Independent article about the 11/7/14 dance for New Haven Farms. Bethany Music and Dance (BMAD) gatherings are indefinitely suspended. Please see BMAD for more information. Much of his calling activity centers on special occasion "barn" dances including the monthly musical event BMAD at his home in Bethany, CT. Other such events include school dances, private parties, special occasions such as weddings, birthdays and anniversaries, and dances in extended care facilities where he has done dances for people using wheel chairs and walkers. 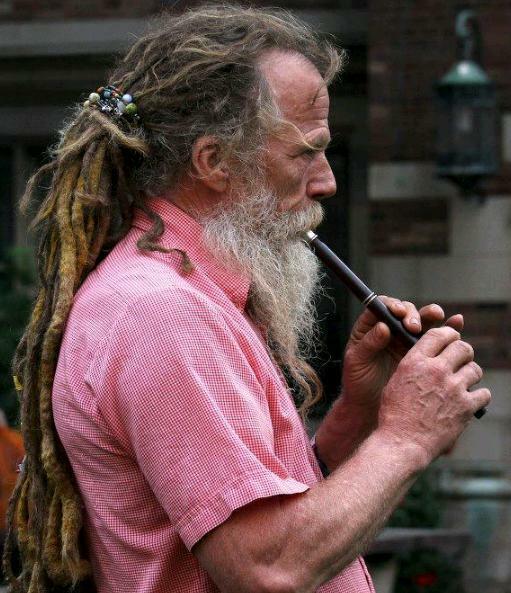 Besides calling, he plays penny whistle and hurdy-gurdy. He has also danced in and played music for performing dance groups in and around the northeast In addition, he calls maypole dances annually in Connecticut, New York, and Massachusetts. Of late, he is also performing at events playing djembe. Four times a year he hosts ritual gatherings honoring the Solstices and Equinoxes. All of this activity is a manifestation of his commitment to fostering community through dance, music, and ritual.